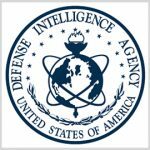 The Defense Intelligence Agency has awarded spots on a potential 10-year, $500 million contract to eight companies and one nonprofit organization to support missions of DIA’s science and technology directorate. Contractors will vie for research, development, engineering and technical task orders through the multiple-award, indefinite-delivery/indefinite-quantity HELIOS contract, the Defense Department said Friday. Work will take place at various government and contractor facilities located within the National Capital Region through Sept. 14, 2028. DIA will provide $10K to each contractor as a minimum guarantee. The Virginia Contracting Activity received nine bids for the contract via a full and open solicitation.